BPP candidates won in 60 communities, Fatherland takes 13. The Committee of Voters of Ukraine (CVU) at a press conference on Monday, 30 October, presented the results of a parallel counting of votes in the elections of the heads of the 201 unified territorial communities that took place on October 29. "Petro Poroshenko Bloc - 60 candidates won of more than 100 candidates, including candidates it supported. Fatherland – 13 candidates won. The party has announced 11 more candidates, who ran with its support. 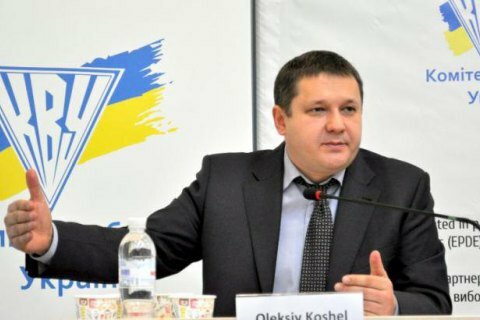 Agrarian Party –five won, Our Land - five nominees, the party For Real Deeds - three winners, the party Dill [Ukrop] - one victory, the party People's Power – one," CVU head Oleksiy Koshil told reporters. Koshil stressed that the majority of winning candidates were self-nominated, but by and large non-publicly supported by political parties, especially PPB or Fatherland. Fatherland's Yulia Tymoshenko announced at a different press conference on Monday that 26 candidates, nominated or supported by her party, won the elections. PPB press service said 111 its candidates won. On Sunday, October 29, Ukraine held elections in 201 united territorial communities across the country in 933 local councils (25 city, 67 village and 841 rural). According to the Central Election Commission estimates that over 1.33 mn people, or about 4% of the total number of voters, were supposed to take part in the election. Draft declaration of Eastern Partnership summit mentions no "Marshall Plan for Ukraine"